One of the reasons why the Forex market has such a large trading volume is because it’s an over-the-counter market which allows market participants to exchange currencies around the clock, five days a week. However, despite its non-stop trading hours, there are certain situations during which you shouldn’t trade. They can increase your transaction costs, lead to high slippage, create fake breakouts and false signals, or simply lead to the accumulation of losing trades. 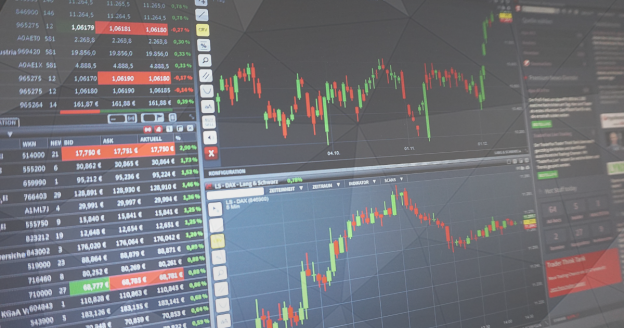 In this guide, we’ll tackle those situations during which you should stay away from trading, and show you what the best times to trade the market are. Watch: What Makes a Successful Trader? While the Forex market allows you to place trades around the clock, Monday through Friday, there are certain situations during which you should stay on the sideline. Some of the most important events which can cause erratic and unpredictable price movements are outlined in the following lines. During bank holidays, many banks close their doors and don’t process market orders. Since the Forex market is an over-the-counter market in which banks play an extremely important role and are considered one of the market’s big players, bank holidays cause a drop in the overall trading volume, liquidity and predictability of price-moves. You’ll see many currency pairs moving only modestly during bank holidays, and the lower liquidity will usually lead to higher transaction costs by wider spreads. If you’re a day trader or scalper, there is not much to look for in the market during bank holidays. That being said, not all banks shut down at the same time. Bank holidays are linked to specific countries. For example, during a bank holiday in the United Kingdom, there will usually be a lower trading volume of the British pound. Similarly, a bank holiday in Australia or New Zealand will cause a drop in the trading volumes of the Australian dollar and New Zealand dollar. To know which currencies should be avoided during bank holidays, you can follow a Forex calendar which lists the dates and countries in which there’re bank holidays. Another situation when you want to avoid trading is during the release of high impact news. Again, a Forex calendar may be very helpful to mark those days and times when countries release their high impact reports. Examples of such reports are non-farm payrolls in the US. These are released each first Friday of the month. These include preliminary GDP reports, inflation reports, labour data reports and central bank meetings. Currencies tend to become very volatile immediately after a high impact report is released, especially if the actual number differs to a large extent from the expected number. It’s not unusual for some currency pairs to move hundreds of pips, caused by the high trading momentum which occurs only seconds after the numbers are published. Since we can’t know what the actual number will be and how currency pairs will react, the best trading decision that we can make is to avoid trading at all until the dust settles. The following table shows typical times when high impact reports are released by developed countries. Central bank meetings and announcements have the potential to send shockwaves through the Forex market. Fortunately, many Forex calendars also include the times when important central bank meetings are scheduled. This becomes very important when a central bank, such as the Fed, discusses changes to their monetary policy. Rate hikes and cuts always have a long-lasting impact on currencies, and while many changes to the monetary policy are often already discounted by the market, the central bank’s statement and minutes of meeting can shed new light on future monetary decisions which again have a large impact on the Forex market. That’s why you shouldn’t trade during important central bank meetings. Amateurs in trading often make the mistake to chase the market for tradeable setups, which often results in overtrading and losing trades. If you had a few losing trades in the morning, simply stop trading for the day. The market doesn’t owe you anything, and you’re letting your emotions to interfere with your trading decisions by chasing the market to recover your losses. Unfortunately, this trading behaviour usually leads to new losing trades. Instead of overtrading, take a rest from your trading platform and go for a walk. Only relaxed and emotionally-balanced traders can make the most out of their trading. Exhaustion, distractions and impatience lead to a stressed trading environment and costly mistakes. You need to balance your trading and personal time to avoid becoming overwhelmed with trading. Weekends are generally a great time to charge your batteries, since the market is closed on Saturday and Sunday. Read: Are there any Markets Worth Trading on Weekends? While bank holidays take the liquidity out of the market, there are also certain market hours whereby liquidity tends to fall. As a result, transaction costs rise and slippage eats into your profits. As mentioned, Forex is an OTC market which trades during Forex trading sessions. These sessions span from New York in the United States, to London in the United Kingdom, to Tokyo in Japan and Sydney in Australia. These four trading sessions are the most important in the market, but not all four add the same amount of liquidity. The London and New York sessions usually host the largest number of market participants and have the highest liquidity, while Asian sessions tend to be considerably smaller in their size. If you’re a day trader or scalper, you should avoid trading during Asian sessions, especially during the beginning minutes of the Tokyo or Sydney sessions. What’s the Best Time to Trade Forex? Now that we’ve covered when not to trade, here’re the best times to trade the Forex market. Forex traders live on volatility, which means that the best trade setups are usually found when there’s enough volatility in the market. However, volatility can also work against you if the price goes against your favour. That’s why we won’t trade during high impact news releases despite the high volatility that they create, because we don’t know in which direction the market will go. Day traders will find the lowest transaction costs and largest price-moves during the overlap of the New York and London sessions. The following table shows the open market hours of each of the four major Forex trading sessions. As the table above shows, the New York – London overlap begins at 1:00 PM GMT with the NY open and ends at 4:00 PM GMT with the London close. Knowing this data can help you identify the best trading environment to open your positions. While the Forex market is a 24 hours a day, 5 days a week market, there are certain situations when you should stay on the sideline. These include bank holiday hours, high impact news, important central bank meetings and illiquid market hours. These events can exhaust the market’s liquidity and make price-movements very unpredictable. They can also increase transaction costs. Use Forex calendars to help you spot and mark those events. This helps you take a rest from your screen or use the time to learn new trading concepts. These systems will support your trading performance once the market dust settles.